Real ales, live music and great food! By day The Steamboat Tavern is a great place to eat and relax. During office hours a lot of our clientele come from nearby Felaw Maltings – we offer a friendly and professional atmosphere that’s great for informal business meetings and relaxing downtime after a busy day in the office. At night The Steamboat turns into a vibrant venue for music and the local arts. 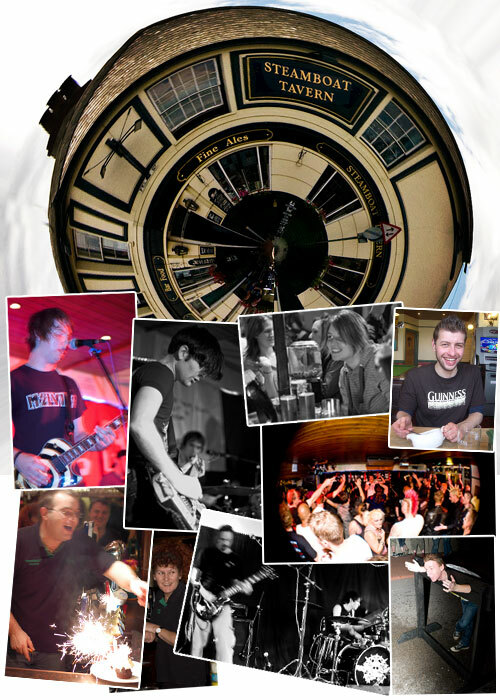 There’s always something exciting happening here so check the live music page to find out what’s on. and a rather lovely crew behind the bar! Reasonably priced buffets are available if required, bands and discos can also be provided.